Why should I train at Scranton MMA? Scranton MMA is the top ranked team in north east Pennsylvania. Scranton MMA is the official Gracie academy of NEPA. Scranton MMA instructors are experts in teaching beginners & experts alike. Our instructors are full-time professional instructors not hobbyists. Scranton MMA is highly recommended by professional UFC fighters and average hobbyist alike. Scranton MMA is trusted by all branches of the military and law enforcement agencies.Scranton MMA has level specific programs for everyone, regardless of size, speed, or power . Scranton MMA makes it easy and safe to learn. Scranton MMA is constantly evolving our programs and as teachers to best serve our students. What are the benefits I can expect from training? Erect a positive attitude by developing self-confidence and emotional intelligence! Learn realistic self defense that is proven to work! Lose weight, build core muscle, and reduce stress! Feel healthy, strong, and flexible! Do I need prior experience in order to train? No, you do not need to have prior experience. Scranton MMA offers a variety of beginner level courses that are structured to build a solid foundation of fundamental technique. Do you have to be athletic or flexible? No, you do not need to be an athelete or highly flexible to train. Gracie Jiu Jitsu will help you become more fit and more flexible but it is not a prerequisite. The instructing staff at Scranton MMA will guide you along the path based upon your individual reasons for training. Ultimately only you the student can answer that question. How old / young can you be? Scranton MMA can be enjoyed by practitioners of all ages! Age is not a factor! That depends entirely on your goals. Are you training to be fit? Are you training to compete? Are you training to enjoy fellowship with people of similiar interest? Train to meet your goals! No, students are not required to compete. If however your interests lie in competition Scranton MMA indeed has a competition team! No, we do not train UFC. UFC is a brand name of mixed martial arts just as Coke is a name brand cola. 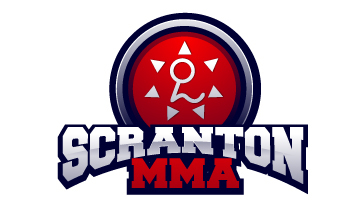 Scranton MMA is a mixed martial arts training academy with a highly successful mixed martial arts team. How long does it take before I am a black belt? Scranton MMA is not a belt factory. We do not put emphasis on the belt color, we instead focus our energy on technique. After all; a belt only cover two inches of your rear end the rest is up to you! We have a number of packages at Scranton MMA that are tailored to fit your interests and your budget! We invite you to visit the academy and discuss your needs and interests with a knowledgable member of our staff who can then suggest the program that is right for you! To schedule an appointment please call today!